Redmen Lodge; Front row - small child is Cecil Hallinan; second row: 1st is Leonard Hallinan; 2nd is Reuben Confer. Description Mounted on cardboard. Photo is in the oversized photo collection. Same as photos 805a & b and 3401. See photo 805a for list of names. 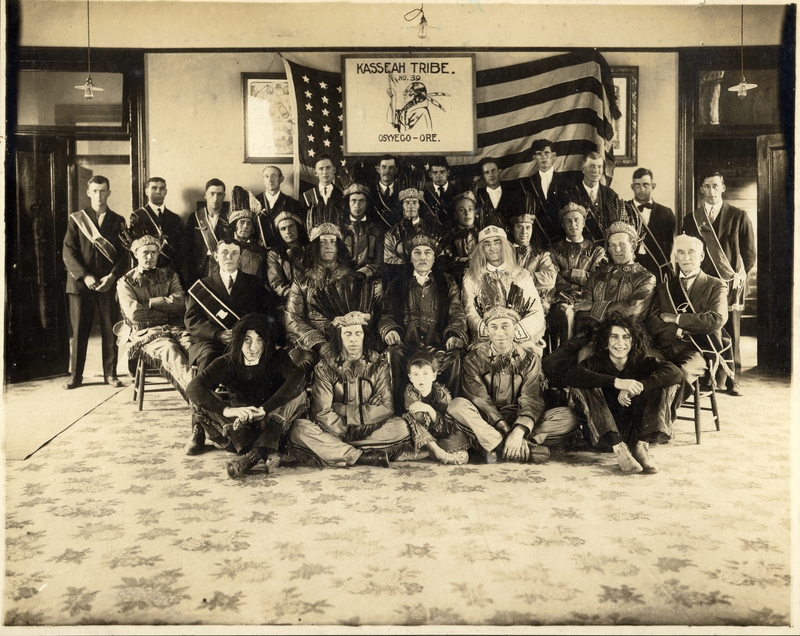 Transcription Redmen Lodge; Front row - small child is Cecil Hallinan; second row: 1st is Leonard Hallinan; 2nd is Reuben Confer.